View More In Safety & Security - Page 4. 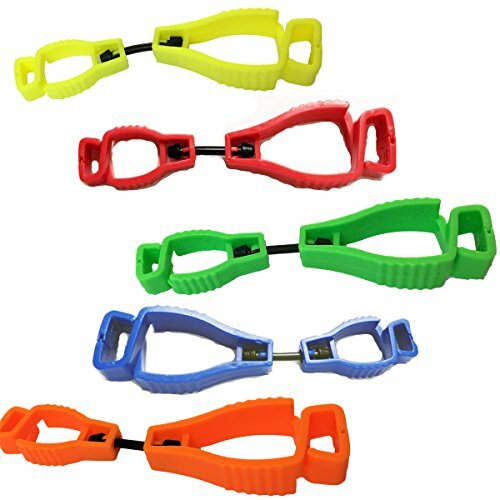 Sino-Max AT01 Glove Guard Glove Holder Clip Is Designed to Keep Hand Safe, Made of High Quality POM Plastic and PVC and Packed in OPP Bag. This Glove clip Can Reduce Hand Injuries by 96% and Best Ideal Safety Product in Maintenance, Constructions, Automotive and Electrical Applications. Size: 5.04" x1.26"x0.71", Easy to reach with Clips on Belt Loop with Interlock Teeth and has 15 LBS Safety Break Away. 5.Clips on belt loop with interlock teeth, yet has a 15lb safety break away, Keep Gloves Safe and Accessible At Any Time. If you have any questions about this product by Sinomax, contact us by completing and submitting the form below. If you are looking for a specif part number, please include it with your message.